Eliminates lifting and makes installation and removal easier than ever! Wheels can be turned to the inside or outside depending on application. 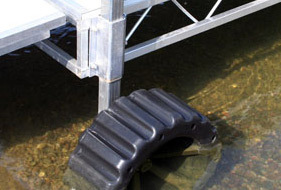 If the dock height will be set higher or lower than 8″ off the water, add or subtract this number when determining wheel kit sizes.